Garrett Specialties, a promotional product company, has been nominated for the 2010 Promotional Products Association International (PPAI) Web Award for Visual Design and Creativity. The PPAI Web Award for Visual Design and Creativity recognizes the site’s overall appearance as well as its usability. The site provides a shopping experience that is as smooth and as effortless as possible. The design of https://www.GarrettSpecialties.com successfully captures the user’s eye and acts as a visual guide through relevant content and information for over 750,000 marketing products. Compared to recent years, the PPAI Web Award has become increasingly prestigious. Two industry brackets, suppliers and distributors, now compete for the same award. PPAI received more creative and innovative qualified entries than ever before. Garrett Specialties has been named one of the top three in it’s category, a triumphant achievement over hundreds of entries from across the industry. 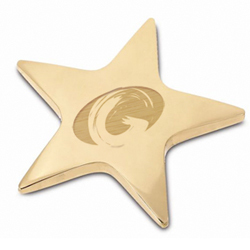 Garrett Specialties has become a staple in the promotional products industry. As one of the first on the web, the company stands strong amongst the many advertising specialties distributors that pop-up everyday. A streamlined user friendly website along with exceptional customer service and creative marketing solutions provide an award winning experience for the promotion needs of businesses big and small.